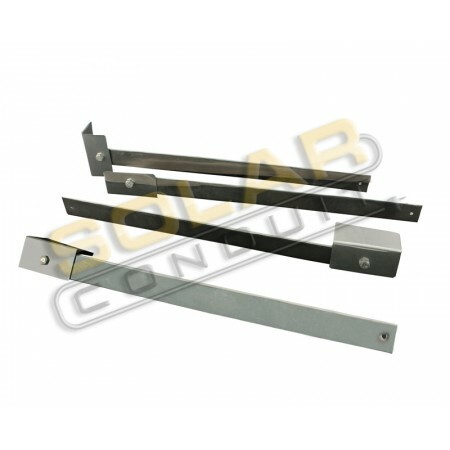 Includes 4 stainless steel L-brackets, 16" stainless steel legs, self-tapping screws, bolts, and nuts. 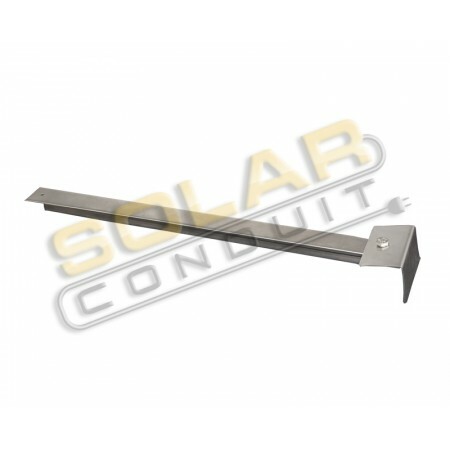 These 16" legs get mounted (screwed in) on the unit above the waterline so no leaks occur. 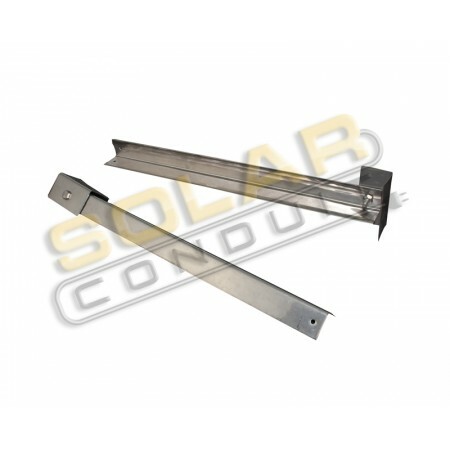 They are meant for use on a flat roof or slight pitch roof. 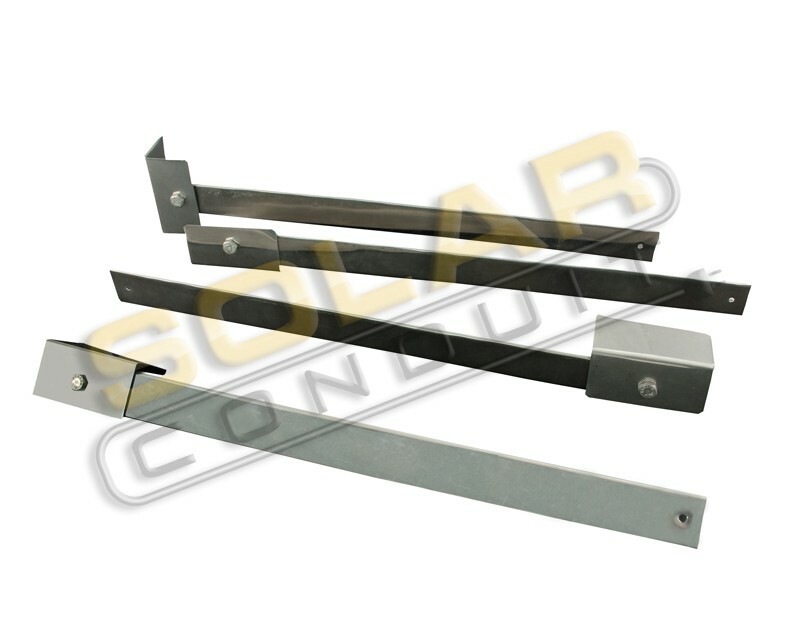 If you have a very pitched roof, we can custom order the appropriate legs for you application (1 pair of longer legs for the downslope pitch).